The 100 plus degree days are almost over and the cooler temperatures are just around the corner. Kids are heading back to school and the opening of the first hunting seasons are less than a month away for most parts of the country. 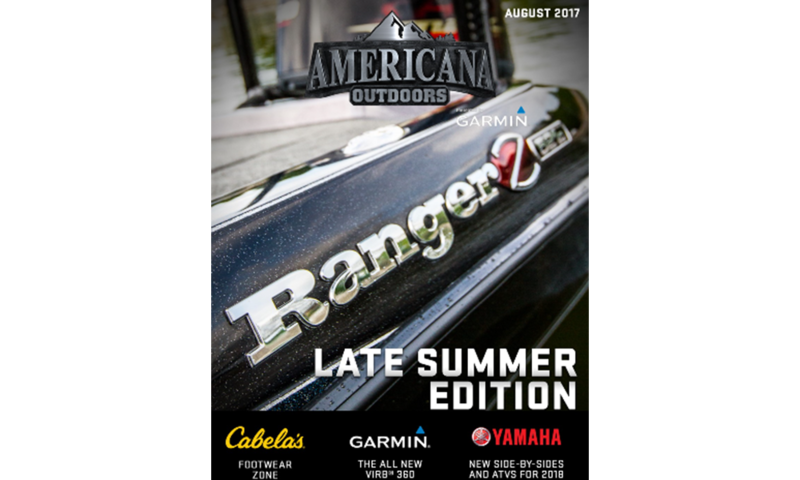 In this issue, we take a look at some of the awesome new products that were released at the 2017 ICAST expo in July, share with you a little of the history of Ranger Boats as they celebrate their 50th Anniversary, and check out the ALL NEW Garmin Virb 360. Dove season is going to start for many parts of the country very soon and we take a look back at opening day last year and give you some tips and let you know some of our favorite products to use this Dove season. 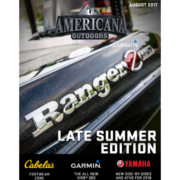 Protecting your feet when outdoors is huge and we look to see what Cabela’s has to offer in the newest footwear. 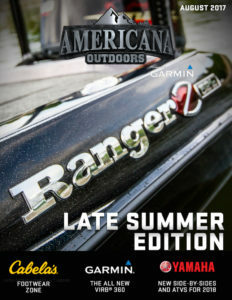 We hope you find a ton of great tips and product reviews in this edition of the Americana Outdoors® presented by Garmin E-Magazine – ENJOY!! !